Caption slip reads: "Photographer: Sandusky. Date: 1951-09-18. Assignment: Mrs. Helen Hall, narcotics susp. jailed. 19/21: Deputy Sheriff R.C. 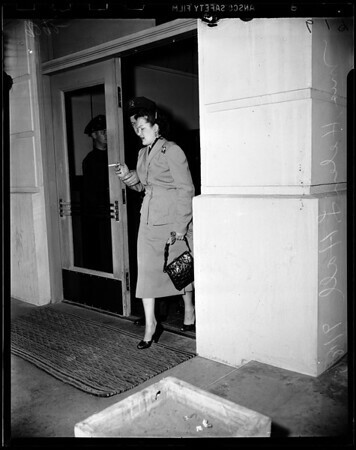 Lass takes Mrs. Helen L. Hall from Santa monica station to county jail".